When the whole world seems to be going low-carb crazy it is important to remember that we do need some good quality carbohydrates for energy. How important are carbohydrates for our energy levels? Do carbohydrates increase energy? Too much sugar seems to be blamed for most chronic diseases now, since it upsets the body's blood sugar levels and insulin balance and causes inflammation. It can also feed pathogenic organisms. At the same time, sugar is one of the main sources of fuel for your body's cells, including the brain. So what gives? Around July/ August 2014 I was suffering from regular headaches and I remember thinking: 'Why do these headaches always start when I begin a healthier diet?' At the time, the healthy diet always included carbohydrate-restriction (definitely no bread or pasta) and very little sugar (no refined sugar and only very small amounts of fruit, if any). I remember noticing then that a sugary 'coconut macaroon' would sometimes help to get over the headache, and was wondering whether white-flour pastries (which I craved a lot) were helping to keep the headaches at bay too. The 'healthy' diet would always cut out the pastries and other starchy carbohydrates too. I kept trying to stick to low-carb diets, but later decided to try drinking fruit juice in the morning to see if it would help me wake up and get out of bed easier. Previously I would have never been able to do this since even a little bit of fruit juice seemed to cause serious fatigue and a fevery feeling, as well as other symptoms. But ever since I managed to clear some of the stealth infection in my lungs and sinuses (suspected to be caused by aspergillus), I was able to begin drinking fruit juice. And amazingly, I found out that fruit juice in the morning had a dramatic effect on my energy levels! Now when my alarm clock goes off I drink a glass of fruit juice (usually pasteurized 100% juice not from concentrate, e.g. orange, mango, tropical mix, etc.). After lying in bed for about 15-20 mins after drinking the juice I'm usually so awake that I can't sleep anymore, and get up without problems, even if it's very early in the morning. However, freshly made fruit juice would of course be much better than pasteurized. It is worth noting that I have been caffeine free for some years now and if I needed a caffeine-fix in the morning the fruit juice would probably not be a sufficient substitute. But even being caffeine free, I have been struggling at times to get up in the morning, as my energy levels tend to rise towards the evening, for some reason. Not only does fruit juice seem to help me wake up earlier in the morning, it also seems to help sustain my energy during the day. If I get energy dips, I occasionally - not always - drink fruit juice to wake myself up. I must be careful, however, not to drink too much as I am still sugar intolerant (carbohydrate sensitive) to some degree. Also just eating fruit seems to help with energy, although maybe slower than fruit juice. I also feel nicely balanced with fruit and fruit juice, it somehow makes me feel content in my body and improves focus and mental energy/ moods. I therefore now suspect that I was to some extent 'starving' myself on the low-carb diets - hence headaches and low energy. It now seems safe to conclude that fruit, fruit juice and perhaps even white-flour products increase my energy levels when eaten in moderation. I had been eating a diet too low in carbohydrates for a while, and many of the carbohydrates I did eat were high in insoluble fiber, and therefore difficult (for me) to digest. I'm not suggesting at all that eating white flour or processed sugar is good for you. I am, however, suggesting that we need good-quality and easy-to-digest carbohydates, such as fruit and berries, in our diets to provide energy for the cells. At least that has been my experience. Some people may need less carbohydrates than others. The more I attempted to stick to the low-carbohydrate diet, the more my body was craving easy-to-digest, quick carbohydrates, such as fruit juice and white-flour products. But it was a vicious circle for a while since the (suspected) aspergillus infection would flare up and cause problems every time I ate fruit or sugar. When I cleared much of the infection, however, and was able to tolerate fruit again, it seems that my body is - surprisingly - reacting very well to fruit juice, when I drink it in moderation and ensure that I receive other nutrients to balance out the sugar, notably protein. Magnesium may be important too for blood sugar balance. Good quality carbohydrates seem to be primarily from raw fruits and berries, and we also get smaller quantities from vegetables. Vegetable juicing may be a good way to make some of the carbohydrates easier to digest. Fruit juice is more controversial and despite what I said above I don't think it's necessary for health if you eat large fruit salads, for example. Fruit juice may cause blood sugar imbalances, weight gain and feed pathogens. As discussed above these may be some of the main causative factors of inflammation and chronic disease. Nevertheless, I like to drink fruit juice occasionally when I need quick energy. Pasteurized juice is worse because the high heat of pasteurization has destroyed many of the nutrients and damaged others - nevertheless I drink it also. I don't get the negative effects from pasteurized fruit juice that I do from sugar, jam or cakes, therefore I think it is ok for me, for now, as a treat. "There are three macronutrients that supply calories: carbohydrate, fat, and protein, and we need all three. The key is to choose high-quality, nutrient-dense sources of carbohydrate, fat, and protein. For carbohydrates (starches and sugars), beans, peas and other legumes are superior." I don't think the fruit juice causes blood sugar problems in my case (and I don't think it acts as a stimulant for me in the bad sense of the word) since I don't get energy dips afterwards. The occasional energy dips I do get seem unrelated to the fruit juice consumption. The effects of the fruit seem entirely positive and the juice too when taken in moderation. Long-term, however, I would probably be better off eating large fruit salads or at the very least only freshly squeezed fruit juices. 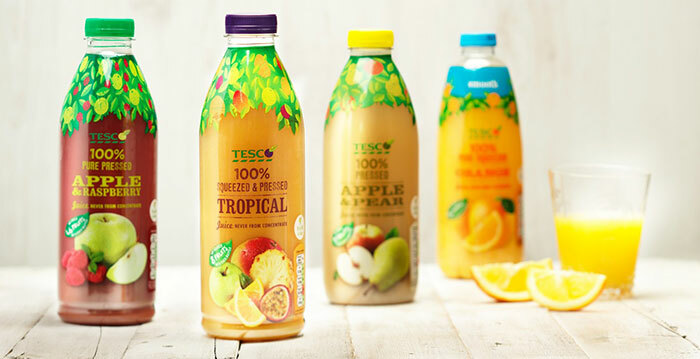 It is interesting to note that the same doesn't seem to be the true of the store-bought smoothies, such as Innocent or Tesco smoothies. These seem to have an adverse effect on me for some reason. I believe they may include added sugar which is not declared on the label, or the fruit juice that is included in them may be very low quality. Generally I feel that my energy levels are good these days, although of course I get tired if I have a mentally straining day, if I am on my feet all day or if I've eaten processed sugar. I do still get some energy dips, however, and I still cannot tolerate stress or long days nearly as well as I would like to. Too many white-flour products or eating dairy seem to make me sleepy as well. Later update: I managed to increase my energy levels to some degree by going to the gym regularly (while being careful not to do too much at once), taking a magnesium supplement (as I was deficient), and by taking other steps to overcome a long-term burnout. My eyes are one of the biggest problems now as they get quite red and my vision blurs if I get tired. And I do still get tired more easily than I used to, but I'm stronger than I was, say, a year or 1.5 years ago. I can take stress better and I have better energy. Later update: The eye-problems I had were linked to a sinus infection, which always gets exacerbated by sugar or dairy, and to make-up (foundation cream) which included titanium oxide (which is responsible for the SPF factor - I now only use make-up which has no SPF). My eyes also get much brighter when I take ionic liquid trace minerals (more than the recommended dose on the bottle). I still react adversely to sugar, especially white sugar, but seem to be able to tolerate it in moderation. Eating more protein seems to help tolerate it better as well. As mentioned, I can now drink fruit juice, eat most types of fruits, and I seem to also tolerate molasses, and molasses sugar. However, if I drink too much fruit juice, for example, I do still feel weak. Something to note, however, is that if I eat something very sugary, like cake, or mulled wine, I do seem to feel much more out of energy the next day, and I can still get heart palpitations. I therefore stay away from chemicals and processed sugar most of the time, while happily guzzling a fair bit of fruit juice. I now believe that a diet too low in carbohydrates can cause one to lack energy and seems to have been doing so in my case. This seems like an obvious statement, but one that I have been questioning due to influences from certain raw food and low-carb dieting camps. But not everyone can tolerate carbohydrates or sugary fruit, and this may be due to infections, stealth infections, candida or parasites - as it seems to have been in my case (mold infection). It may also be that there are 'carb type' and 'protein type' bodies, as Dr. Mercola advocates - so one type of diet does not fit all. In my case, however, eating more carbohydrates - even bad quality ones like croissants - seems to have made both my energy levels and my health better. But again, only because I was eating a too low carbohydrate 'starvation' diet previously! I would eventually like to eliminate wheat and gluten from my diet and am experimenting with different things to replace the croissants. (I cannot eat most long-life bread because of an intolerance to some chemical in them - this rules out most brown bread.) But at the same time I am just so happy to be feeling better. One thing to note, however, is that eating wheat makes me feel more 'numb' emotionally, which sometimes feels helpful when dealing with stressful situations involving work and certain people at work! Generally it is of course not a good sign. Instead, giving myself time to get used to feeling all my emotions intensely - when not numbed down by food - will most likely make me feel much more alive, happy and vibrant in the long term. I still don't feel even close to as good and healthy as during the best moments of my raw food diets and I don't look as vibrant and healthy either. So there is definitely still much to aspire to in terms of an improved diet (and lifestyle). Perhaps now that I can tolerate fruit better I can soon begin another raw food challenge. In any case, I have learned a lot from my complex health journey, and my health has improved a lot, though there have been a fair amount of challenges along the way as well. Update: Read also: Is Starch Worse for Your Health than Sugar? Conclusion: Since I have found fresh, raw fruit and berries to be very beneficial for my health, it is the main form of carbohydrate I advocate as a part of a healthy diet. I am of two minds about the various forms of cooked carbohydrates, e.g. grains, beans and cooked root vegetables. Grains are very controversial these days, yet both Dr. Fuhrman and some of the authors of the books below believe they are important for health. I think grains are not necessary, since I felt fine on raw food diets before. Sprouted grains may very useful. I do eat beans as a good vegan protein source, however am of two minds about the cooked starch content of beans and whether that is actually good for you. Note; Those with fructose intolerance may have to use beans, peas and other legumes (as Dr. Fuhrman recommends) as their main carbohydrate sources. There may, however, be enzymes that can be used specifically to help the body digest fructose. You can take a fructose intolerance test at: www.eat-all.com. I've never felt as good as I did on the raw food diets, where I was eating fruit, honey, agave nectar, fresh fruit and vegetable juice, sprouted grains and raw vegetables for my carbohydrate needs. It might have been better to leave the honey and the agave nectar out, but the bottom line is that raw forms of carbohydrates seem to be the best. Do keep in mind, however, that I have not yet been able to realize the raw food diet long term in a way that would enable me to stay healthy, not have nutritional or other imbalances, and live a stress-free life. Although I believe the raw food diet to be superior to other diets, I know that it can be very difficult to realize in the modern world in a way that keeps you optimally healthy and happy in the long-term. My recommendation? Eat fruit if you can, in wholefood form, to satisfy any sugar cravings or energy dips. Experiment whether you want to eat other types of carbohydrates or not. Make sure you have enough protein, fat, and micronutrients in your diet also, as good quality and fresh as possible. Stay away from sugar and processed foods and use freshly-squeezed fruit juice, honey and maple syrup as treats if you feel like you need them, and if you don't get adverse reactions to them - not in excess. Above all, listen to your body - see how it reacts to different foods. Consider that often reactions are delayed and how you feel today may be a result of what you ate yesterday. Sidenote: I have also found it helpful to eat some starchy carbohydates in raw form, e.g. put a piece of raw sweet potato in my smoothie, or eat carrots and other root vegetables raw (only in small amounts because they have harsh fiber). They may be responsible for good energy levels. I don't agree with this book, unless the pizza, pancakes etc. above are made and eaten in raw form (some paleo recipes may be fairly healthy too). Normal potatoes can of course not be eaten raw (sweet potatoes can). Small quantities of cooked potatoes might be fine (I became extremely healthy on the McCombs diet which included cooked potatoes). This book links casein, the protein in cow's milk, to cancer. It states that good levels of nutrition are much more important than worrying about carcinogenic substances too much; that whole food, plant-based diet can reverse heart disease and also help protect you from various other diseases; that processed carbohydrates are bad for you but carbs in plants are healthy; that animal foods are not necessary for health; and that those who ate most animal-based foods were also the least healthy. The book makes a good case for going vegan or increasing vegetables in your diet, but it does not conclusively prove that all types of diets including meat are unhealthy. Good quality (organic or wild game) meats may be fine in moderation. But it does demonstrate that eating good amounts of plant-based foods is very important for health. Graham advocates eating 80% fruit (for carbohydrates), 10% protein and 10% fat. He, and many other fruitarians, swear by the power of this diet to combat most diseases, including diabetes, and to increase athletic performance quickly and effectively. The key, they say, to blood sugar control is to eat raw food and low-fat. I believe some, if not all, fruitarians are honest about their health gains, however, many do seem to lose too much weight and to run into problems long term. Nevertheless, their findings are interesting and seem to indicate that your body reacts very differently to raw fruit than it does to processed forms of carbohydates (including pasteurized juices). This diet can be very very challenging to realize and will definitely not work for everyone. Another book advocating a high fruit, low-fat fruitarian diet. Very good diet advice. Dr. Fuhrman promotes a high raw diet with all macronutrients included. His emphasis is on eating high-nutrient, good-quality food, i.e. no 'empty' carbs. He calls it a 'nutritarian diet'. Is Starch Worse for Your Health than Sugar?